Are There Any Alternatives to Declaring Bankruptcy? If you’re struggling with debt and looking for somewhere to turn, bankruptcy may be a viable solution. 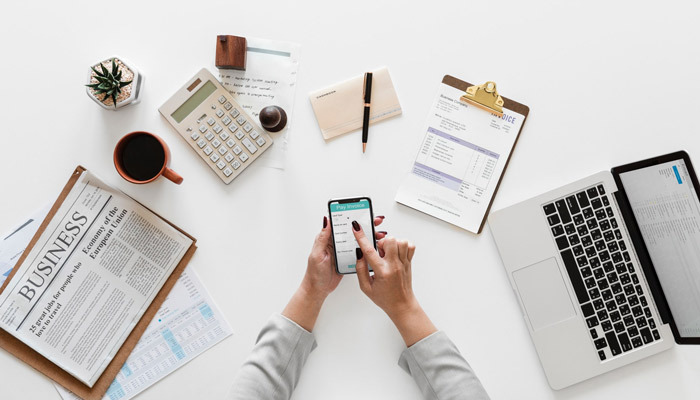 Broadly speaking, bankruptcy is a way for individuals and businesses to discharge debts and get a fresh financial start. But, when faced with bankruptcy, many people wonder: Are there other options out there? Is negotiating with your creditors an option? For some people, the answer is yes. Creditors may be more willing to accommodate direct conversations than you might think – especially if debtors make it clear that filing for bankruptcy is the next logical step for them. In situations like these, or in cases where debtor has income, or assets they’re willing to sell, debtors may be able to directly negotiate with their creditors for lower monthly payments, a more advantageous long-term repayment plan, or even a reduction in interest or total debt. Combining debt can sometimes be an alternative to bankruptcy. In situations like this, the debtor typically consolidates their debts into one loan, with one monthly payment at a lower interest rate. This can allow debtors to hold onto more of their assets, and may make payments more manageable. There are a few different methods that can be used to consolidate debt; for instance, a debtor might use a debt consolidation loan, or, in some cases, may wish to use a home equity line to consolidate. Working with a counselor or a trusted aid, you may be able to get a firmer handle on your income and debts, creating a repayment plan that works for both you and your creditors. In some ways, starting with a debt management plan such as this is similar to Chapter 13 bankruptcy. However, there are some significant differences. For instance, in Chapter 13, a debtor typically only pays back a portion of the debt owed to unsecured creditors, while they are typically responsible for the full amount in a debt management plan. Similarly, Chapter 13 provides protections if a debtor misses a payment, while debt management programs do not. Finally, bear in mind that there are plenty of scams out there offering to help consumers with debt management – only to pocket the consumer’s fees and offer absolutely no relief. With all of this being said, while it’s important to understand all of your options, it’s also vital to realize that bankruptcy doesn’t need to be some enormous, intimidating thing. There are a lot of myths, misconceptions, misunderstandings, and flat-out inaccuracies circulating out there about bankruptcy. We hear them just about every day. But here’s an important thing to keep in mind: In many ways, filing for bankruptcy is a way to hit refresh on your financial situation, allowing you to breathe easier and get out from under debt. and back on the right track. Whether you’re interested in pursuing bankruptcy as a strategy, or are looking for an alternative that might work for you, seeking out the guidance of an experienced attorney is a great starting point. Do you qualify for bankruptcy – and if so, what type? Or is there a way to manage your debts and financial responsibilities which can allow you to get that fresh start, without having to go into the bankruptcy process? A legal professional can help you answer all of these questions and more. And remember, attorneys have the force of law behind them to offer additional protections to you – and are held to a high legal and ethical standard by the state. Can many TV credit negotiators, or a third party business all about the bottom line, say the same? Looking for guidance? The Gunderson Law Firm is available to offer assistance in a clear, sensible fashion, and help relieve you of the burden of overwhelming debt in whatever way works best for you. Our team can get you actual, straightforward answers specific to your unique situation. No need to search for all the variables and hope you don’t miss any key detail. Don’t hesitate to drop us a line or give us a call for your free initial consultation.